Bodice pattern making and design teaches you a simple pattern drafting system that makes garment production easy and efficient. The fit of your garments will be amazing reducing the need to do several fittings. It is available as eBook. 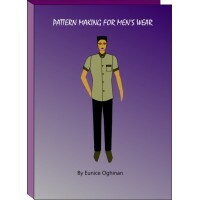 Download now and be making your own patterns in no time. Downloadable Available for immediate download. Using the individuals measurements, this macro will generate a body outline. You would be able to se..